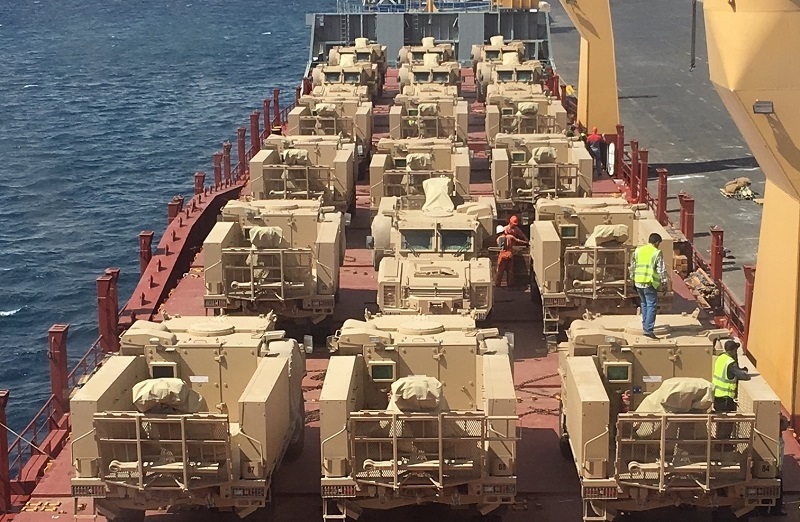 Members in Jordan, Golden Ways for Logistics (GWL) are proud to have handled the loading, traffic and unloading of 18 military vehicles for the UAE Armed Forces. Each of the 18 vehicles measured 7.93 x 3.0 x 3.5m and the shipment had a volume of 1,500cbm. The vehicles were loaded in Abu Dhabi on board NV. Jork Charter and shipped to Aqaba Port in Jordan before final delivery to the UAE Embassy. The entire shipment was successfully coordinated by GWL and the safe delivery was to the customer’s satisfaction. Please click here to view the full article on our official website. Copyright © 2019 Project Cargo Blog. All rights reserved.